Rama Navami is an auspicious day and religious organisations take out massive processions to celebrate the occasion. It is a spring festival to celebrate the birth of Lord Rama, who is particularly important to the Vaishnavism tradition of Hinduism as the seventh avatar of Vishnu. As per tradition - this year on March 25 - Rama Navami celebrations were held across the country including in West Bengal. We have noticed the enthusiasm among the people of West Bengal to celebrate Rama Navami has increased over the last couple of years. Essentially religious Hindu organisations participate in the rallies/processions. As long as political parties were not directly involved, most of these rallies were taken out only having a religious intent in mind. The tradition of carrying swords, gada, and the like were merely symbolic in nature and people hardly gave much importance to these processions. Certain political party leaders and workers took part in such rallies wielding traditional swords. The Bharatiya Janata Party has not taken out any Rama Navami processions under its banner; however, certain leaders and party workers have participated in rallies and rightly so. The matter became complex when the Trinamool Congress (TMC) joined the fray and took out Rama Navami processions. Banners and posters with Mamata Banerjee's pictures were put up at major intersections and locations across the state. This ultimately gave a political colour to a religious festivity. It is very unfortunate that a pious celebration like the Rama Navami has become a yardstick to prove one's political clout. 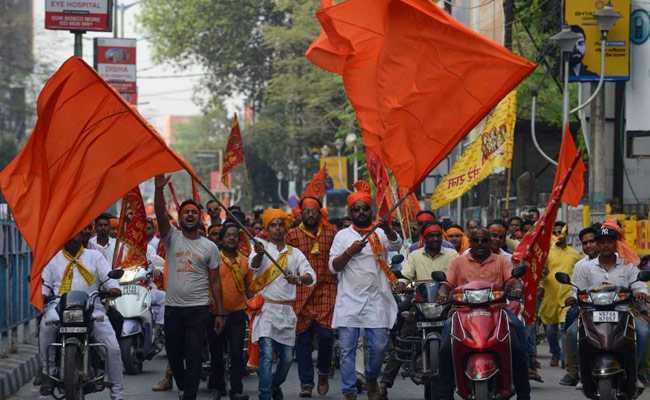 The TMC, particularly, is paranoid about the fact that the BJP is steadily making inroads into the interiors of urban and rural Bengal, and took this opportunity as a challenge to prove that their Rama Navami rallies are larger than others. In this process, a state which has seen appeasement politics as a benchmark to attain power by the TMC, which has encouraged minority vote bank politics since coming to power in 2011, was surprisingly caught unawares. Experienced political activists, leaders and workers cutting across party lines could not predict the reaction of the minority community to this competition of taking out massive processions to establish their strength. We are also amazed at the failure of intelligence agencies, both central and state, who did not warn the administration of the consequences. The communal violence with the epicentre being Asansol is nothing new to Bengal. 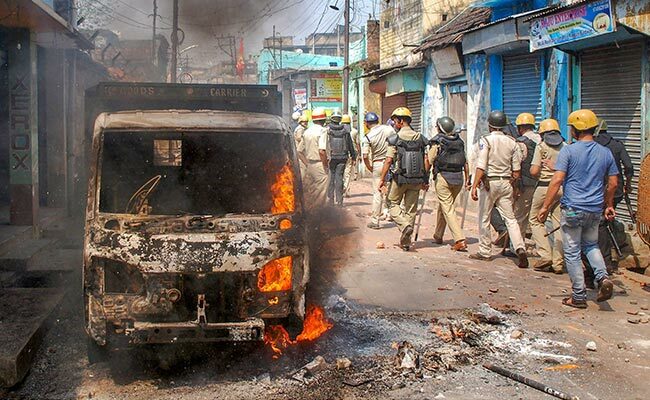 The recent spurt of violence has been triggered by the Rama Navami processions, but communal violence across the state has been rampant since the TMC came to power. Now the complete failure of the West Bengal government and its administration and police in controlling and containing hooliganism has been observed. Over 300 families have already been displaced due to this violence. I visited Asansol and Bardhaman on March 23. I interacted with doctors, lawyers and intellectuals there who were all looking forward to peaceful Rama Navami celebrations. It appears that the TMC, by politicising the Rama Navami celebrations and subsequent failure in controlling the hooligans, sparked off the communal violence. Since the TMC has taken the reigns of West Bengal, we have seen communal tension build up and violence in Kaliachak-Malda, Illambazar-Birbhum, Jalangi-Murshidabad, Chandannagar-Hooghly, Kharagpur-Midnapore, Baduria-Basirhat, Dhulagarh-Howrah. Post Rama Navami celebrations, we have seen communal violence in Asansol, Bardhaman, Railpar, Hill Basti, Kumar Bazar, Raniganj, Kankinara, Naihati, Murshidabad. It is horrific to see that the administration and the police in Bengal are silent spectators - watching families being attacked. 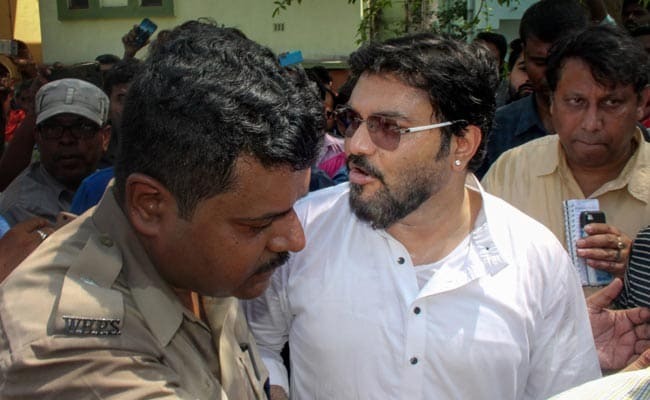 Union Minister and Asansol MP Shri Babul Supriyo was not allowed to visit the affected areas and even the constitutional head of the state - Shri Keshari Nath Tripathi, the Hon'ble Governor of West Bengal, was initially disallowed. 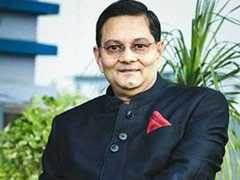 He was then allowed to visit Asansol after repeated requests. Yesterday, a central BJP team constituted by Shri Amit Shah visited the disturbed areas. How can the West Bengal government stop elected representatives of political parties from visiting and meeting the people of Asansol and other affected areas? If the Governor and MPs are not given the right to visit the people of these areas, what right does the common person have in West Bengal? This is a warning to the TMC not to mix religion with politics and stop appeasement/vote bank politics which may incite the sentiment of people belonging to all communities. The top most priority of the state government should now be able to maintain law and order arrest the miscreants irrespective of religion, caste or creed.